Australia’s LGBTIQ-inclusive choirs will come together this October for the triennial Out & Loud Choral Festival, a spectacular celebration of choral music and queer culture. Out & Loud is held every three years and is the only gathering of LGBTIQ+ choirs from Australia and New Zealand. 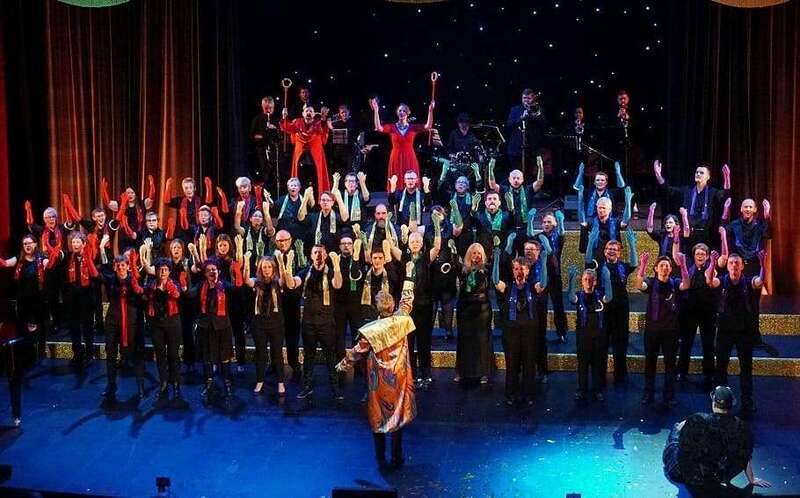 Canberra Gay and Lesbian Qwire will host this year’s festival, with choirs from Auckland, Brisbane, Melbourne, Perth, Sydney and Wellington joining the Canberra singers. The collective of choirs will perform in Canberra at cultural institutions such as the National Gallery of Australia, National Portrait Gallery and Old Parliament House, with all the concerts free and open to the public. The festival will culminate with a Gala Concert – open to the public – at Llewellyn Hall at ANU on October 27. Among the attendees will be the members of the long-running Brisbane Pride Choir, which last year celebrated its 20th anniversary. “We extend an invitation to LGBTIQ choirs and individuals from around Australia to join the celebration,” Canberra Qwire Convenor Dave Worner said. Canberra local Stephen Leek — one of Australia’s foremost choral musicians — will conduct a massed choral performance featuring over 500 voices. A highlight of their performance will be a piece by ARIA Award-winning composer Sally Whitwell, commissioned especially for the 2019 festival. As well as the musical expertise of Leek and Whitwell, choral experts from Canberra and beyond will lead a series of workshops for Out & Loud delegates at the festival. To find out more about Out & Loud Choral Festival 2019 and to register your interest, visit the website here. Get in touch with the Brisbane Pride Choir via their website here.